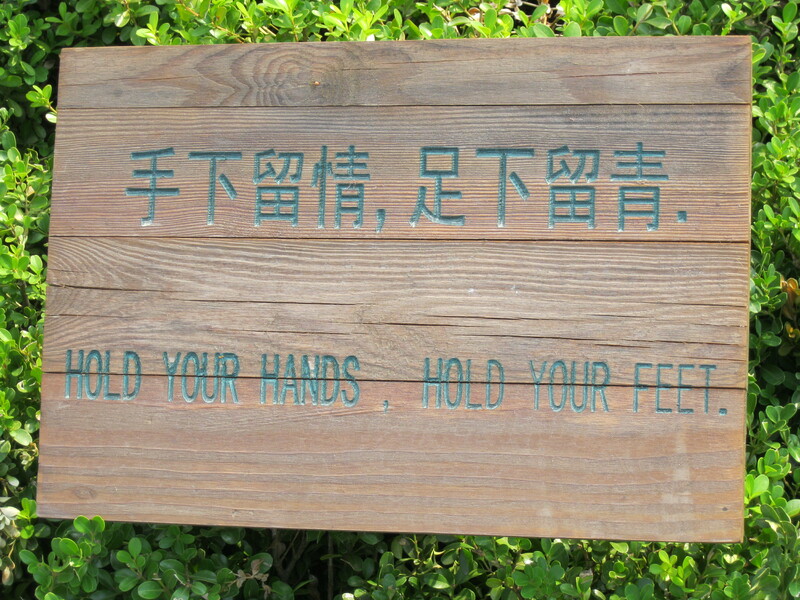 You don’t have to look very far in China to find something that has been translated into English, but doesn’t quite make sense. 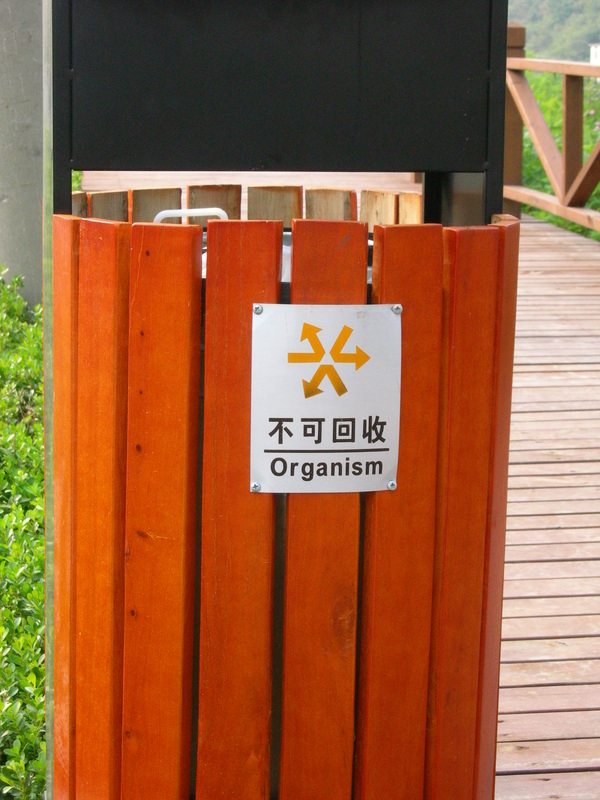 Sometimes the mistranslations are funny, and sometimes they are just nonsensical. However, they never cease to amuse me, and I hope you too will enjoy some of the gems below. That’s right! Real men can cook. Do I have to do both at the same time?! Ahhhh! 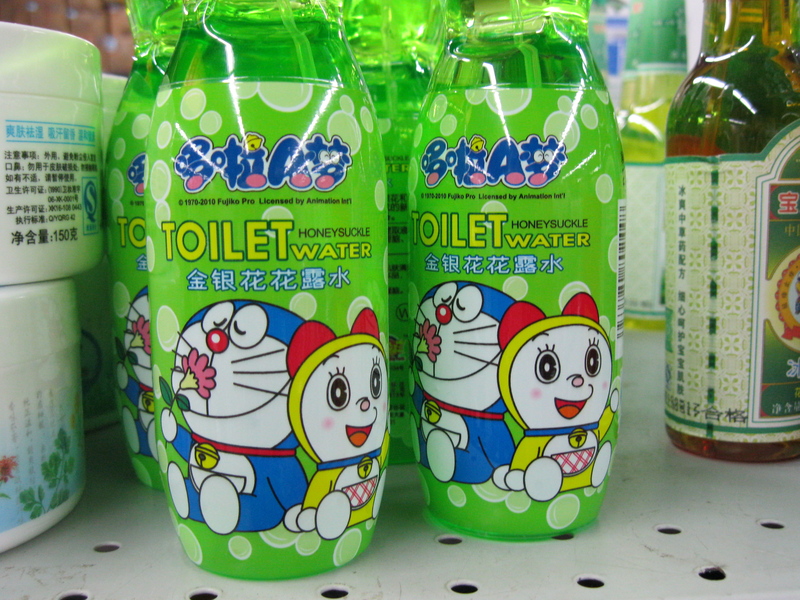 Mmmm, can’t get enough of that honeyscuckle toilet water! 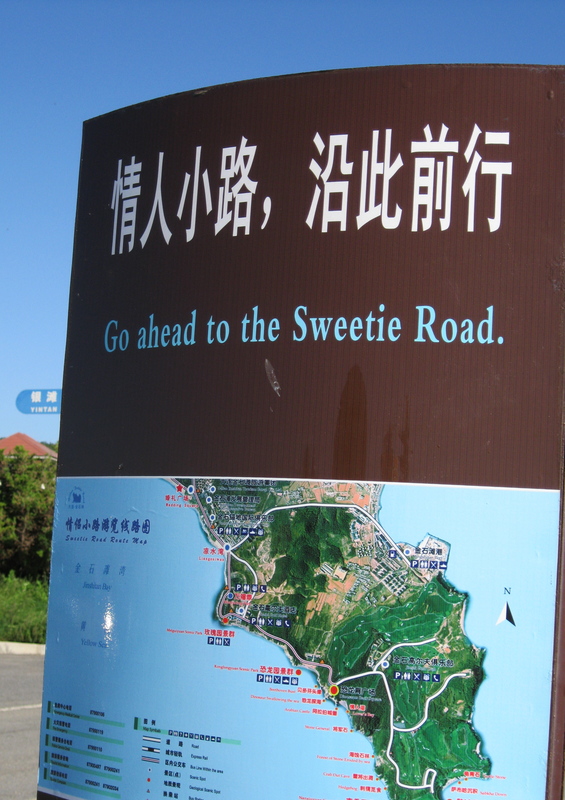 Awww, a road to walk on with your Sweetie! How badass is this dude? Rock on Chinese youth! Her sweatshirt says “Abortion Clinic Staff”…. Wait…what?! I don’t think this picture even needs a comment! well, i thought your shenyang post was my favorite, but this one is definitely my fav so far!!! 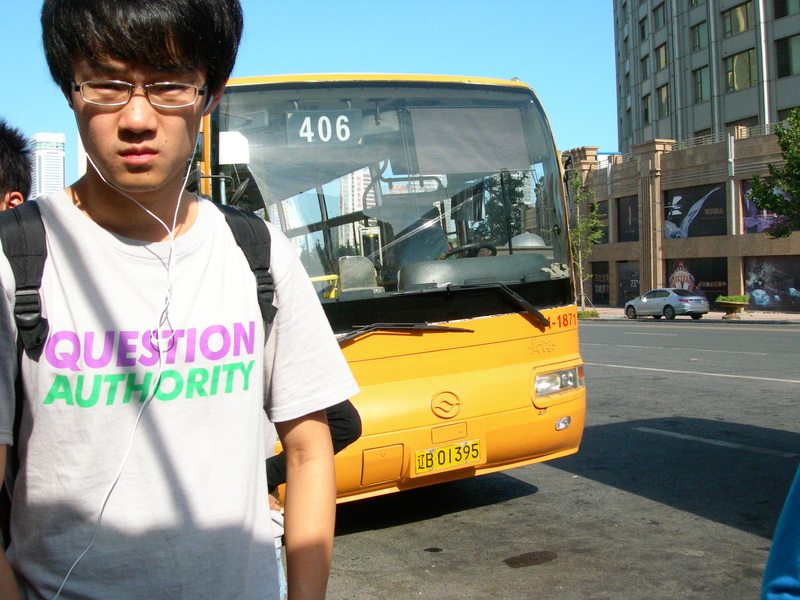 you know how i love asian –> english translations…almost wore my thai nikon t-shirt the other day 🙂 the “question authority” kid was the best! yay! 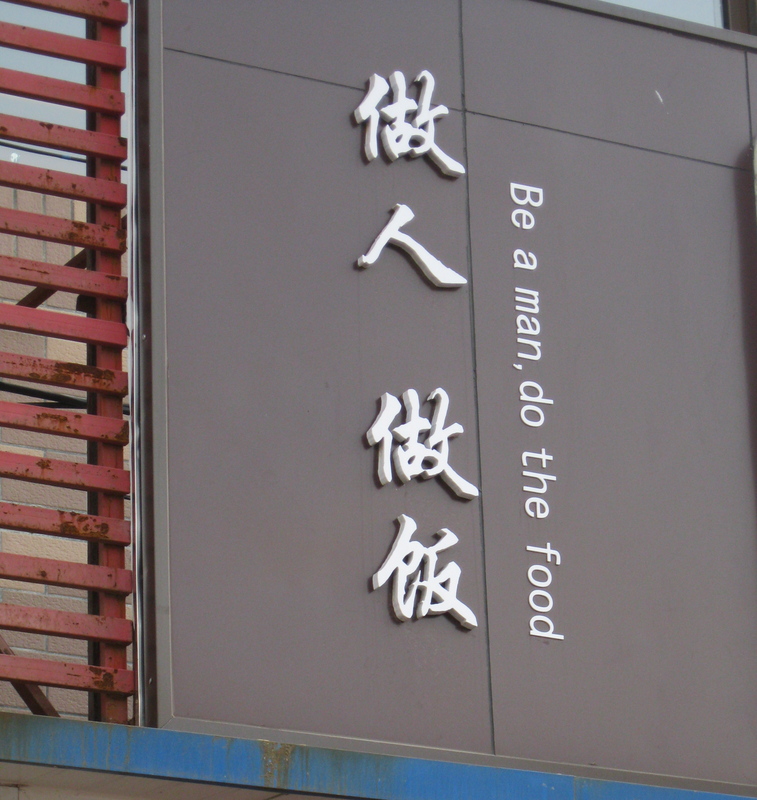 i think “Chinglish” posts will be a recurring feature on the blog. I have a few other pictures that I didn’t use this time. Margaret (my friend/apartment mate) was ballsy enough to snap a picture the “question authority” kid… so all credit goes to her! considering the last sweatshirt is worn by a girl is VERY interesting.